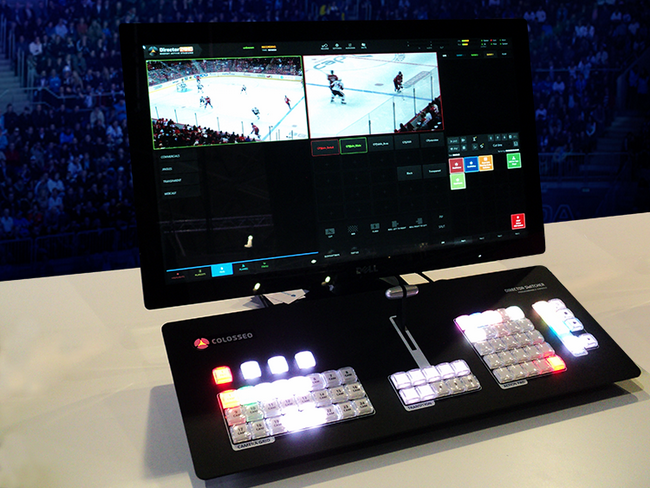 Colosseo’s Production Video Switchers are focused for sport venue game presentation and give game-operators the capability to control on-screen video - managing transitions, dissolves, wipes, hard cuts and audio fades. With these professional capabilities, game-show operators can pre-program complicated graphics for advertising, marketing and in-game graphics to run around or in synch on all scoreboards, fasciae and perimeter strips. 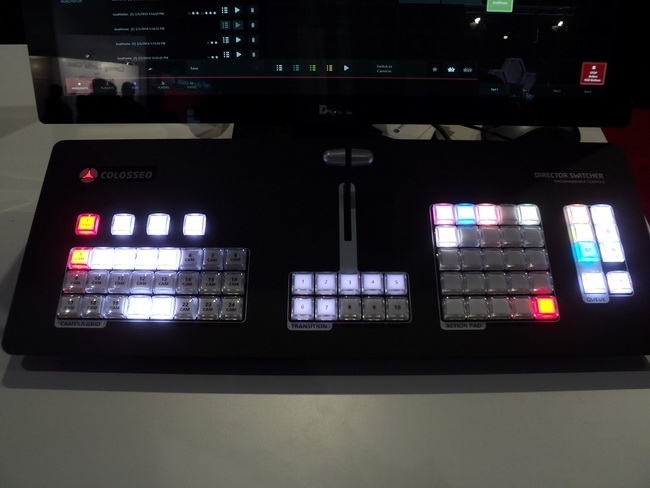 The Colosseo Video Switcher goes a step beyond conventional video switchers with both an easy-to-learn, super-fast touch-screen controller and a full-featured button-based desk with programmable keys and T-Bar. The touch-screen controller allows not only simple operation of the system, but the possibility to set up a series of tasks and run them off of one key with our programmable keyboard. And for quick fade-in and fade-out, the T-bar effortlessly dims any video playing. 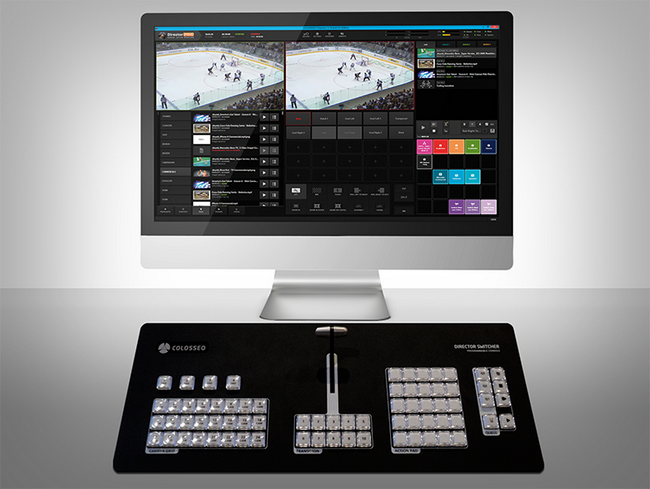 The Switcher can also easily layer video, creating outstanding game presentations and graphics that multiply advertising and marketing opportunities. Start with a simple graphic on a green screen, add a second layer, photos or statistics and then another graphic that will fade or overlap the first two. The possibilities are endless the only restriction being the imagination of the game show designer.